Hi everyone and thanks so much for joining us at The Scoop! I look forward to seeing your wonderful creations each week and love the ideas that you are sharing! Here...we have had our first little bit of frost so some color in the leaves can't be too far away! 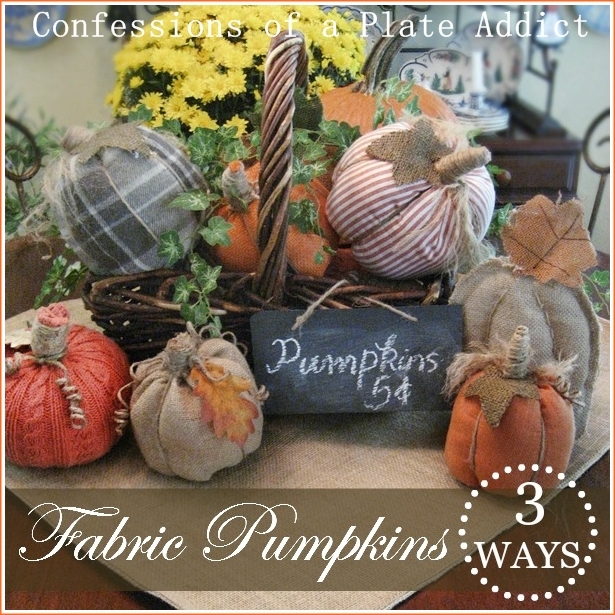 But in the meantime, I have added some fall to my home with a basket full of FABRIC PUMPKINS that I created three different ways! They are all easy and require either minimal sewing or no sewing at all! I hope you will check them out HERE. And it may not look like fall outside my home, but it certainly smells like fall inside with my SPICED APPLE SIMMERING POTPOURRI! It even got the stamp of approval from my 15 year old grandson...and you know how hard that is to get! lol Be sure to check out my "recipe!" Now, I can't wait to see what you have to share, so let's get on with the party! Hi Friend! I'm so glad you stopped by! 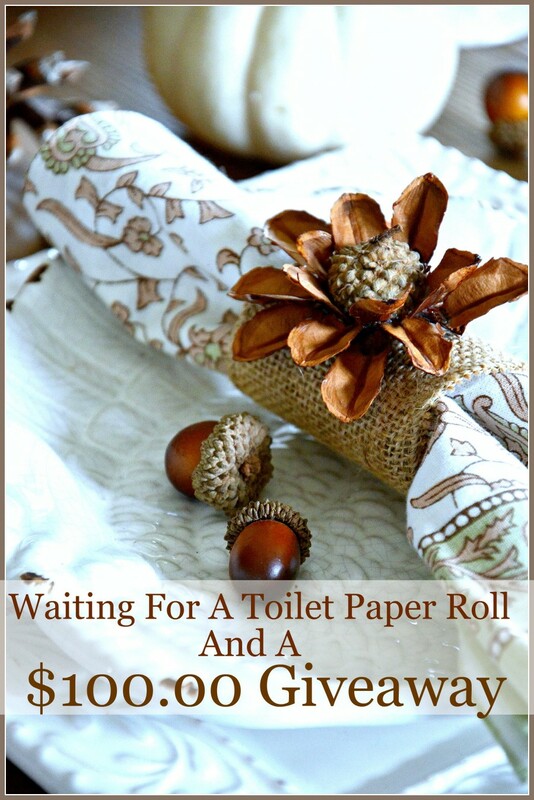 Let's start right in because I have TWO GREAT GIVEAWAYS this week. One is a...$100.00 VISA GIFT CARD GIVEAWAY. You can enter HERE. 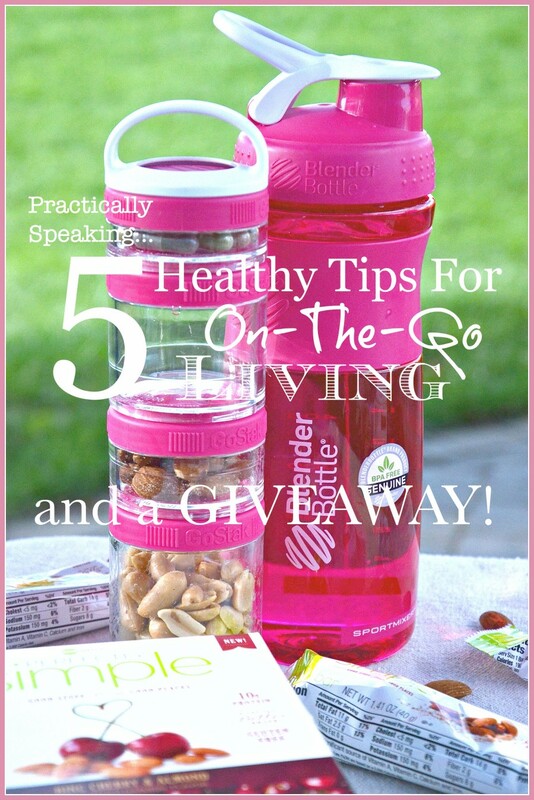 And the other is a...HEALTHY GRAB AND GO GIVEAWAY. It's valued at $100.00! Enter HERE. I hope you enter to win! Good luck!!! Now, here are some of last week's entries I think you will enjoy! Oh my! 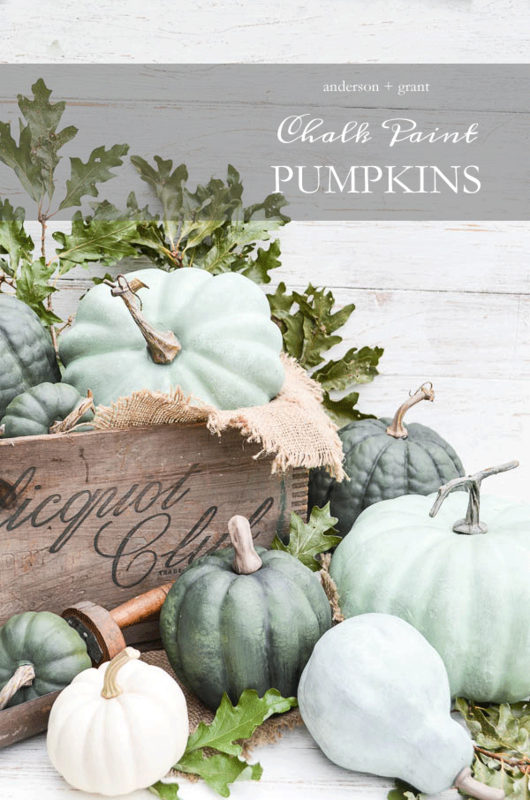 LOVE these gorgeous blue/green/gray CHALK PAINTED PUMPKINS from Anderson + Grant! GORGEOUS! This beautiful REPURPOSED FRAME is not only stunning but so smart, too! 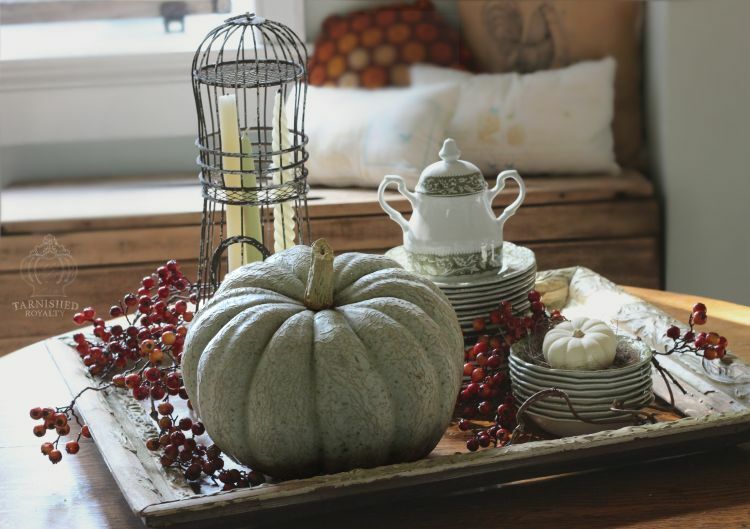 Find this warm fall look at Tarnished Royalty. Thanks, Ann! 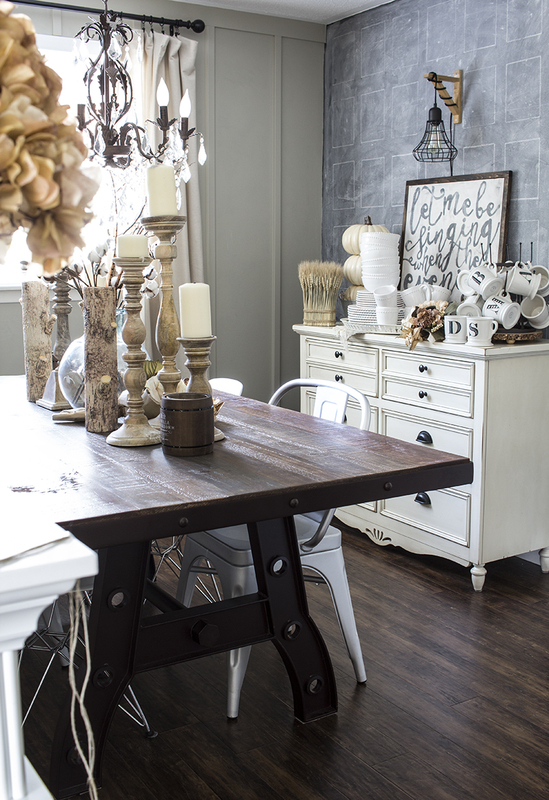 Just look at Shannon's RUSTIC FALL DINING ROOM! She has such a one-of-a-kind style! It's a must-see! Head on over to AKA Designs and check it out! 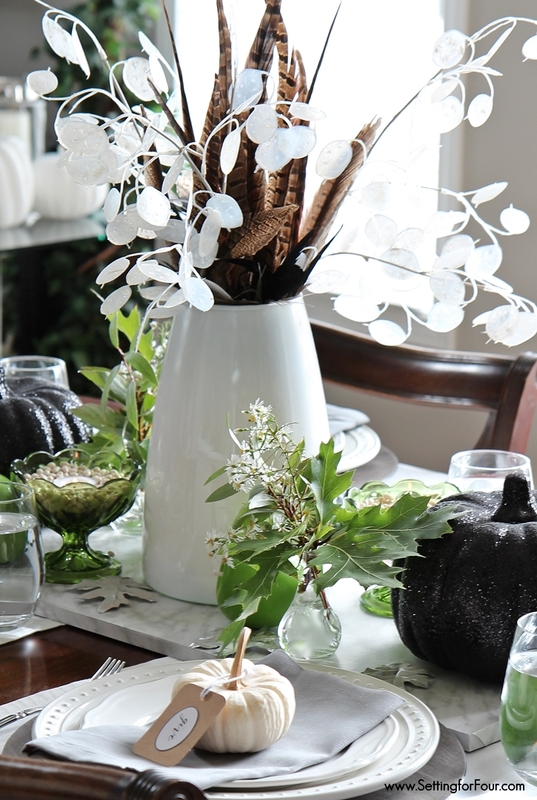 You will love this easy-to-set and easy-to-replicate FALL TABLE from Heather at Settings for Four. Just stunning!!! Coffee anyone? 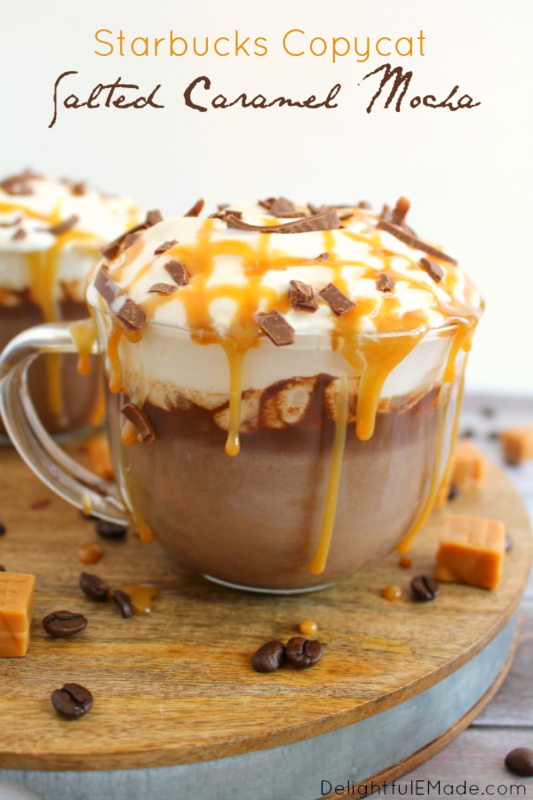 How about Starbucks Copycat SALTED CARAMEL MOCHA? Sounds scrumptious! Head over to Delightful E Made and Erin will show you how! And now, I can't wait to see what you have to share, so let's get on with the party! Thank you so much for hosting this great party Debbie.